Data is from a Pscan. Transmitter and receiver are 1m apart and moved over a 100m line at constant speed. 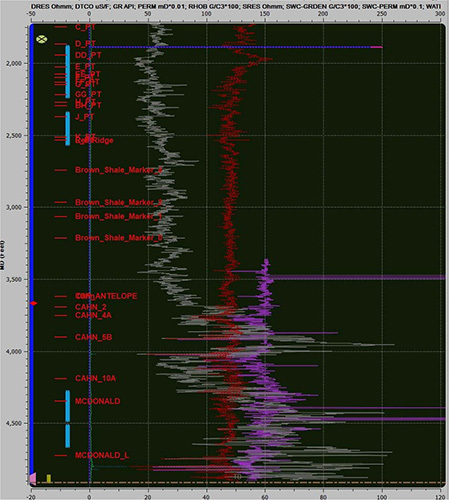 Each column in the data (CSV format) is a radar trace recorded at a sampling rate of 5GHz. Drill hole log for comparison. Download drill hole log data.